Backlinks are the traditional factor for Google to ranking sites and are still helpful to rank valuable site upper. For developers, after making a site and putting useful contents, the second work is optimizing site as Google requires and building backlinks. There are few methods to build backlinks which I will be talking about. Before starting, I’ll like to tell that it takes time to build quality backlinks, but there is shortcut know as spamming. Trust me, that will destroy your site’s reputation from Google for forever and its almost impossible to gain blog’s reputation back, and you will be needed to change the domain, and by that, you will have to start from zero again. So in the worlds, I want to tell, Do not take shortcuts because you don’t know where it ends. So, I will be writing about how you can build up valuable backlinks from various safe methods. If your site has a high-quality article with 2500-3500 words and some images can get organic backlinks. But to post this much quality contents, you need to be an expert writer and very expert in your niche. If your blog has some high-quality contents, your rankings will grow up on Google which will be an additional benefit. Guest Posting is the Most useful method for quality relative backlinks. The guest posting is a win-win way for both, the site owner and content writers. In case if you don’t know what that then read below. What is Guest Posting: The which are giant on the internet or have a large audience online on the sites needs lots of contents to fulfill online users’ wishes, an alone admin can’t make lots of quality contents in short time then they might allow guest posting. In the guest posting, the admin will approve high-quality contents only in which the person who posted quality contents, will drop a relative backlink of his site. That’s not necessary that only sites with the large audience only allow guest posting, in many cases small sites allows too. The reason might be one of these both. Either their admins might be lazy, or they might be looking high-quality contents. How to find sites which need guest postings: The helper to find these sites is Google. You can search these words on Google to find guest post opportunities. They need high-quality contents: Definitely, there are allowing someone whom they don’t know, and all they want is content so why they will approve lower quality content? So give your best content as you will get a relative backlink which is most important for SEO. This is the traditional way to get backlinks. In-case if you don’t know what comment backlinks is then let me explain, almost every blog as ‘comment’ feature turned on, and it exists at the bottom of every post. There you can comment your views with your backlinks. But there is a twist; there are two kinds of links to Google. Dofollow and Nofollow. Sadly, every blog gives nofollow backlinks which aren’t beneficial in Google ranking. There are two kinds of backlinks in commenting, profile link and naked link. You need to find blogs which give do follow backlinks and write a relative comment to get approved your comment. Another best way to build backlinks and this method does not require hard work. All you need to do is to find forums related to your niche and share your thoughts there. You can ask for help or help some, and also you can advise if anyone has asked. Most importantly, you need to add your blog’s link in post signature. As I told before, this does not require hard work but it doesn’t mean that this is a simple method, you need to find forums which give dofollow backlinks and related to your niche which is quite difficult as almost every forum admin prefers for nofollow backlinks because of fear of getting spammed. PDF Linking is the method to build backlinks in the off-page method. You can convert articles and texts and link your blog in that PDF document before converting. After you make a better PDF document with a catchy title, you can upload your PDF document on high PageRank Document Sharing sites. By doing this, your link pages will get backlinks from those document sharing sites. Note that making random articles as PDF document is not recommended! Either use your articles, or yourself write whole new PDF book. Infographics require talent and higher knowledge about niche which you’ve selected on your blog. Every blogger aware of Infographics and its benefits but in case if you aren’t aware of it, don’t worry! Scroll down, I’ve explained. 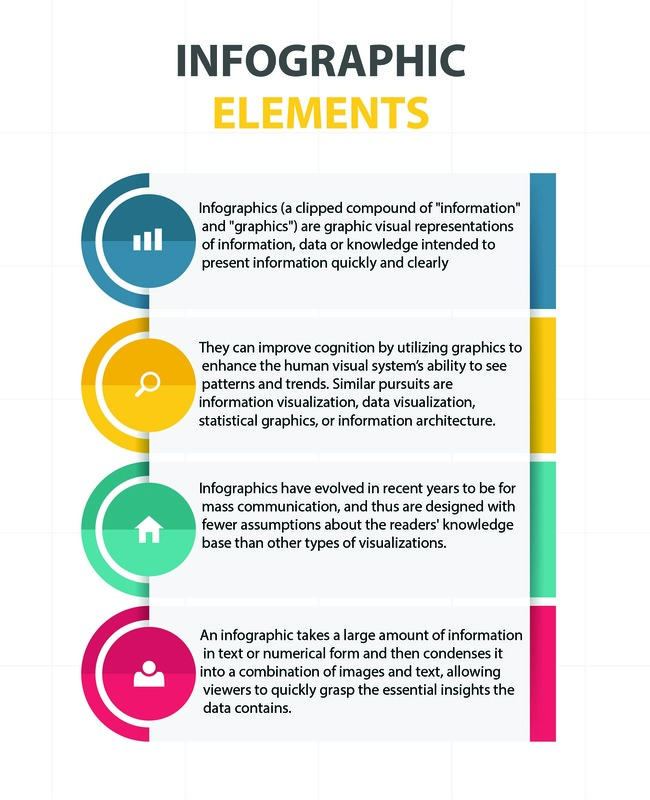 Infographics (a clipped compound of “information” and “graphics”) are graphic visual representations of information, data or knowledge intended to present information quickly and precisely. They can improve cognition by utilizing graphics to enhance the human visual system’s ability to see patterns and trends. How to get backlinks from Infographics? Create Infographics on various topics and show data in an attractive Infographic and put those Infographics.If you’re being confused and not understanding what I’m saying then let me give an example. This all depends on your creativity and the topics you choose and your Infographic’s suitability on the topic. If you’ve made correct Infographics, you can get multiple backlinks. But note that all in your hand is to make Infographics and put on your blog, getting backlinks won’t be in your hand. So this method isn’t best for building backlinks. Broken links the name of this method “Broken Links” is highly circulating in backlink related post but almost all posts don’t clear what this method is about. What is Broken links method and how much useful is in making backlinks? Ok, so simply find blogs related to your niche. Then do this long work, check out all the posts of the list of blogs you’ve made and check all the outbound links. If you’re lucky, you will find one or more links which are no longer exists on the internet, either the blogger removed that link (if this is the case, you’ll be redirected to 404 page.) or the domain has expired. If this happens, find out what that link was about and which kind of contents could be in by reading URL. If you have a similar article to that broken link when you’re ready but in-case if you haven’t written an article related to that broken links, first write a quality article related to it. The next work is to contacting the admin of the site and first telling about the broken link and asking him to link your article instead. Convincing the admin is fully in your hand. That will be a win-win situation for both, you and the admin if he accepts. So, do think this is an easy method? No right? This is a tricky method, but you will get a relative backlink which will be helpful. So these are the 7 methods to build backlinks, and I tried to explain everything detailed.In Case You Have any other questions related to this post, do comment. Also, share this post with your friends who are new to blogging.